Neoteric values its long-standing reputation for personalized customer service. In keeping with this tradition, we provide every Neoteric customer and dealer with a personal Work in Progress photo gallery on the Neoteric website. Your photo gallery brings you inside our factory to monitor our daily progress as your hovercraft proceeds through Neoteric’s unique manufacturing process. Neoteric hovercraft are not mass-produced. 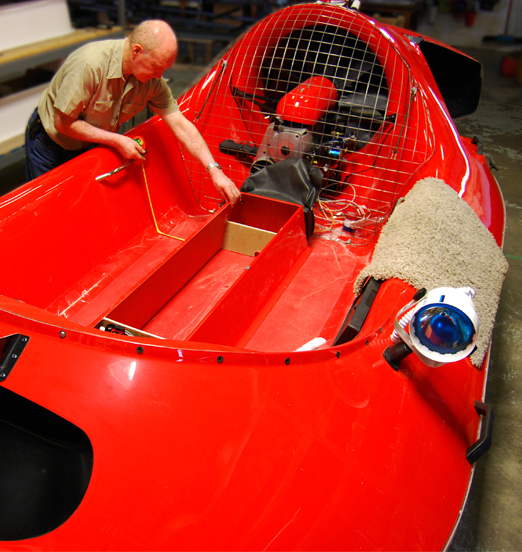 Your personal gallery gives you private access to the meticulous, hands-on workmanship our craftspeople dedicate to the construction of your hovercraft. Every Neoteric customer and dealer receives an exclusive web address for you to access your private gallery, which you may share with others at your discretion. If you have not yet received your web address, please email or call us.